Welcome to Sgoirebreac (pronounced Scorrybreck). Our lovely self catering cottage in Sconser is the ideal base from which to explore Skye and all it has to offer. The Isle of Skye or in Gaelic ‘Eilean a’ Cheo’, is the largest of the Scottish Inner Hebridean Islands, and is famous for dramatic scenery and compelling history. 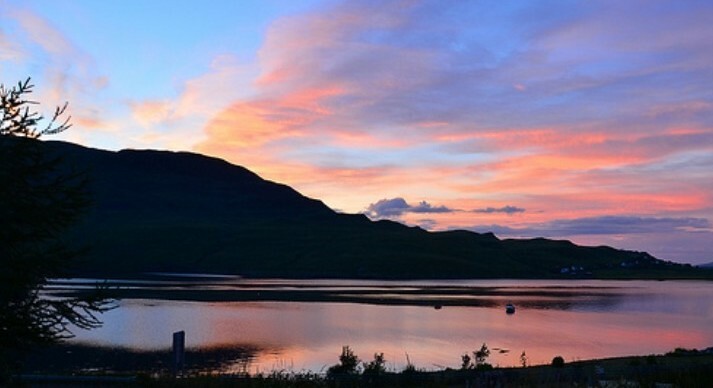 Sgoirebreac Cottage, with a stunning loch-side location, is centrally situated on Skye, but is far enough away from the hustle and bustle for you to experience the peaceful island lifestyle. 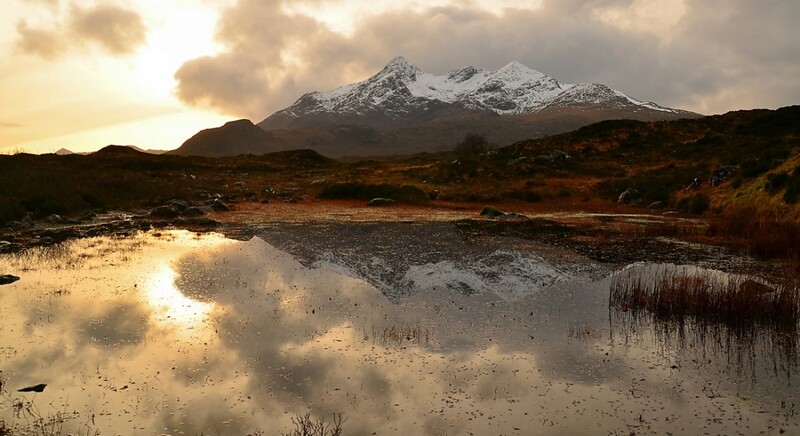 Ideally placed for exploring Skye by foot, or by car – with the famous Talisker Distillery and breathtaking Cuillin mountains all on the doorstep! Sgoirebreac Cottage sits at the foot of the majestic ‘Glamaig’ mountain in the quiet crofting township of Sconser. 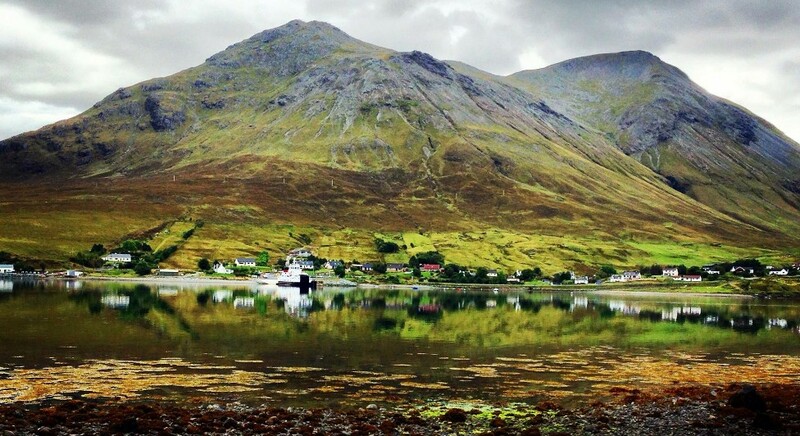 The Red Cuillin range is easily accessible for walks or climbs right from the door. Sconser boasts its own 9 hole golf course, and the ferry to the Isle of Raasay leaves from the pier just walking distance from the cottage. 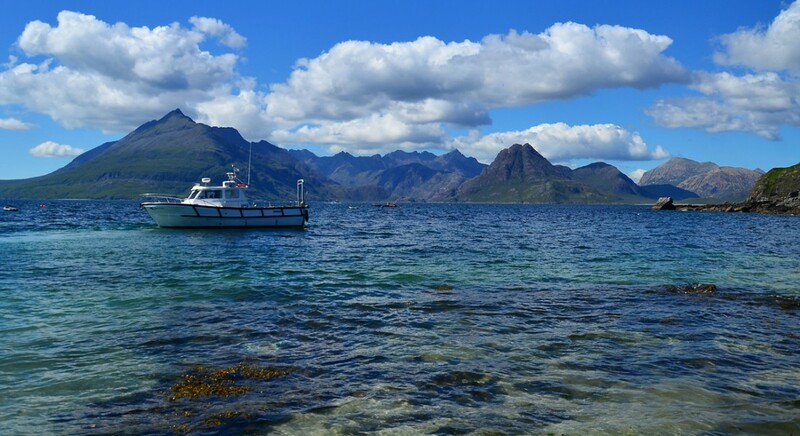 The pier is also a great spot for catching mackerel to cook on the cottage BBQ, and for those that would like to make the most of the waters around Skye, the cottage has its own mooring – so include your boat in your travels, in order to enjoy the magnificent scenery from land or sea! Stunning views and peaceful surroundings make this the ideal retreat. If you love the outdoors this is the place for you!